In the United States, if you do not own a credit card, long distance travel means riding the Greyhound. 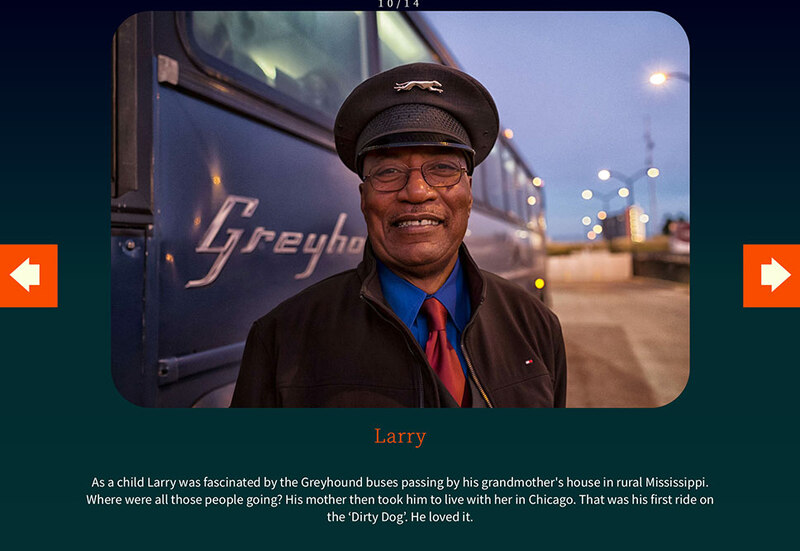 The poor man’s Cadillac, a bus service for outsiders. 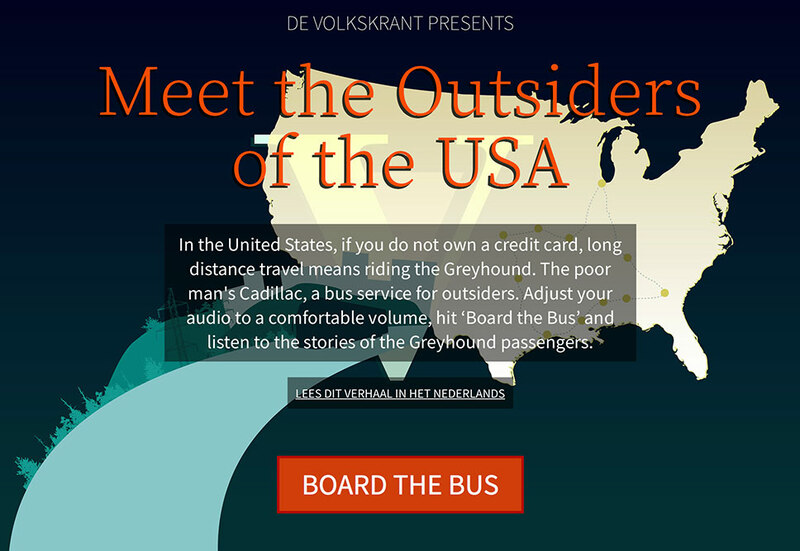 For de Volkskrant, radio maker Jacqueline Maris and photographer Inge Hondenbrink travelled around the states with the Greyhound bus and portrayed its passengers. 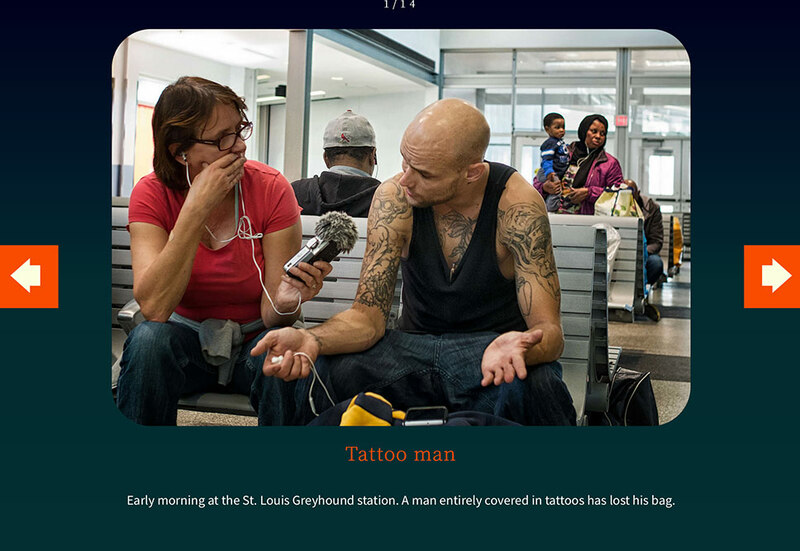 I worked on creating a form that combined Inge’s photographs with Jacqueline’s interviews in an interactive slideshow. “Greyhound” was nominated for the Dutch innovation in journalism award in the storytelling category.